If you’re like many homeowners, all you really know about your HVAC system is that you’ve got a heater and maybe an air conditioner and that you control them from a neat little thermostat on the wall. You may even know how to change their filters, which is a good thing. But the only time you figure you need to know more is when something goes wrong. Well, when something goes wrong is actually not exactly the right time to learn more about your HVAC system and how it works. First, HVAC stands for heating, ventilation and air conditioning, and it refers to the equipment and technologies that moderate and control an indoor environment to make it comfortable for living and working. Knowing the names and purposes of the various parts of your system will help you understand what your repair technician is talking about. Thermostat. You already know what that is, and with any luck you know how to use it. 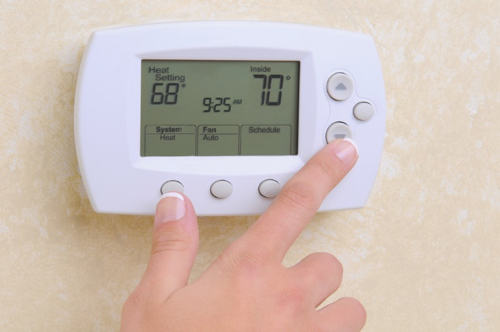 When it’s set to operate automatically, the thermostat triggers the HVAC system to operate during certain times of day and/or when the temperature declines or rises to whatever level you’ve established. Furnace. This is the main heating unit and is usually located in an interior hallway closet, a basement or a garage. Depending on your locality, yours may be powered by oil, natural gas, electricity or propane. Furnaces have an average lifespan of 15 to 20 years, but if yours has a pilot light rather than electronic ignition, it’s probably more than 25 years old and you should start looking at replacements before it conks out in the middle of some cold night. Condensing unit. This is the part of the air conditioner that is usually located outside your house in the rear or on the side. It’s filled with refrigerant gas that, when cooled by the unit, is pumped as liquid into the evaporator coil and transformed back into gas. Evaporator coil. The coil is located inside the blower compartment or air handler, and it holds the chilled refrigerant that the condenser transfers to it. 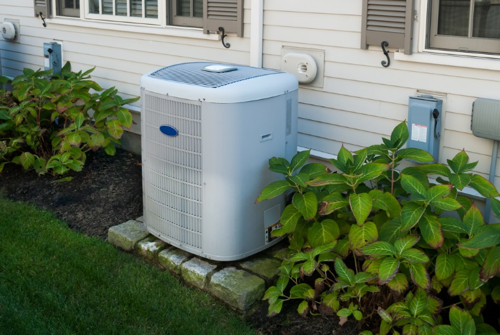 As air from the blower moves over the coil, the cold refrigerant removes the heat from your home’s air. As that process warms the refrigerant, it travels back to the condenser to be cooled again. Ducts. These are the tubes that carry the air from your heating and cooling systems throughout your house. Vents. These are the outlets in each room of your house through which heated or cooled air is distributed via the ducts. If you’re looking to replace a system, these are the possibilities. Your local HVAC contractor in Houston or wherever you live, will help you decide which is best for you. Split heating and air conditioning. This is the most common, traditional kind of system and is the one you’d expect to find in older homes. It usually consists of a furnace inside the house and an air conditioner outside, with ductwork carrying the warmed or cooled air throughout the house. Zoned system. This kind of system allows you to heat or cool different areas of your home by selectively blocking airflow with valves or dampers within the ductwork. It can be a big budget-saver because at any given time you can control the individual rooms that are heated or cooled and not waste money on rooms that aren’t in use. Duct-free (mini-split) system. Because 25 percent of heating and cooling energy is lost to ductwork, ductless heating or air conditioning is an energy-efficient alternative to traditional systems. Best for room additions, garage apartments and similar applications, these systems are designed with wall-mounted inside units and outside compressors. Humidity control. Depending upon the climate where you live, you might want to add humidifiers or dehumidifiers to your system. These add-ons let you control the moisture in the air, which is sometimes at least as important as the temperature. It has to do with what’s called the heat index that makes high temperatures even less tolerable when combined with high humidity. Air purifying. This is another option with newer HVAC systems and can be of great benefit to people with allergies or respiratory problems. An air purifier will pull the air in your home through a series of filters that trap airborne particles of dust, pollen and bacteria and then circulate the clean air back through your home. We’ve certainly come a long way from relying on a smoky fire for heat in winter and suffering through hot summer weather with no relief at all.